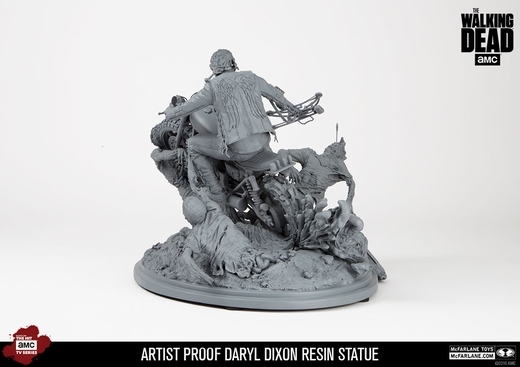 Survivalist Daryl Dixon, a skilled hunter, fighter, tracker, observer, and mechanic, have made him one of the most valuable individuals to the group, and have saved him and his companions on many occasions. 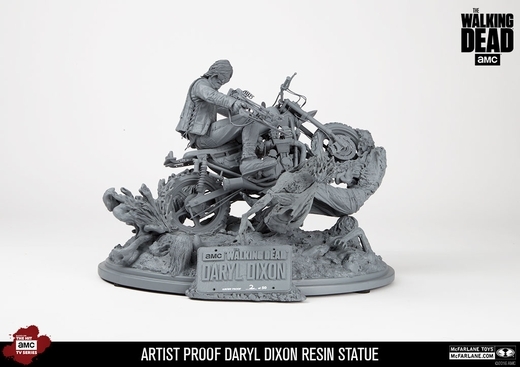 This statue embodies the intensity of Daryl Dixon as an individual using everything to his disposal, even his motorcycle, to fight and survive. 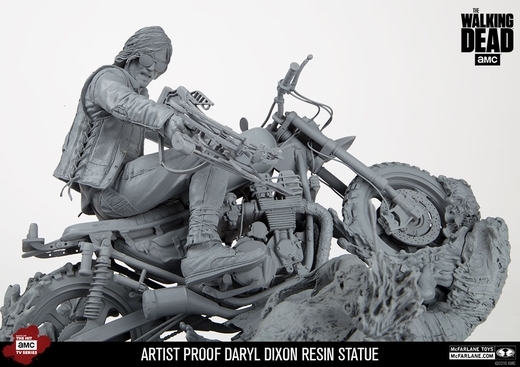 Not only has his savvy for staying alive meant a chance to fight another day, but also made him an instant fan favorite amongst AMC�s hit television show The Walking Dead. With acute attention to every detail from head to tail pipe, the Daryl Dixon statue was created, developed, and designed by Todd McFarlane, and his award-winning McFarlane Toys design group, in conjunction with AMC. 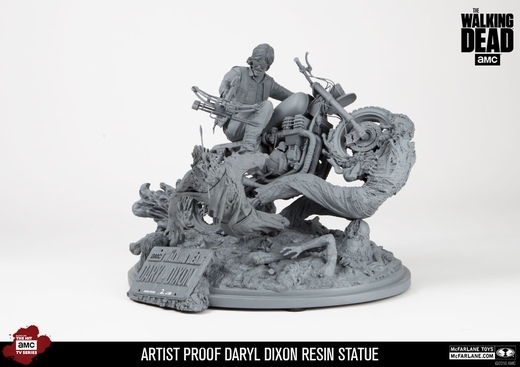 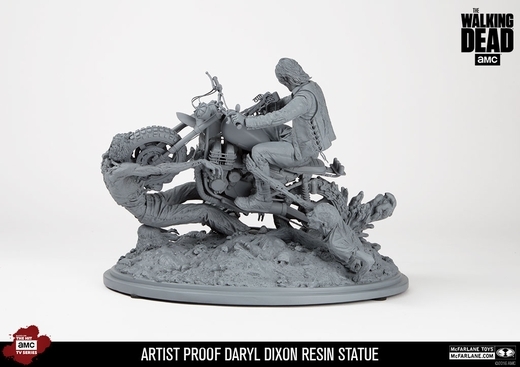 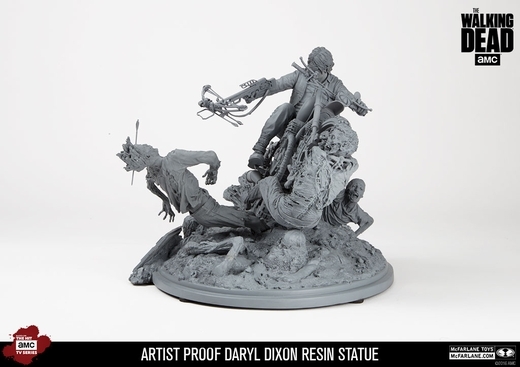 A welcomed addition to McFarlane Toys line of limited addition resin statue, Daryl Dixon comes as the first statue featuring AMC�s The Walking Dead.